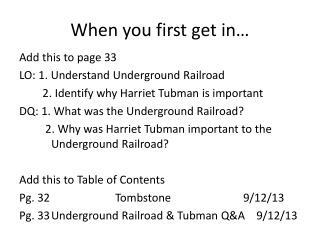 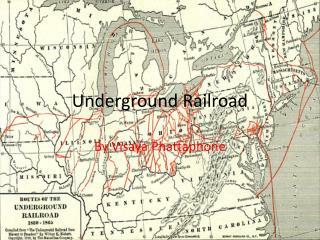 THE UNDERGROUND RAILROAD. 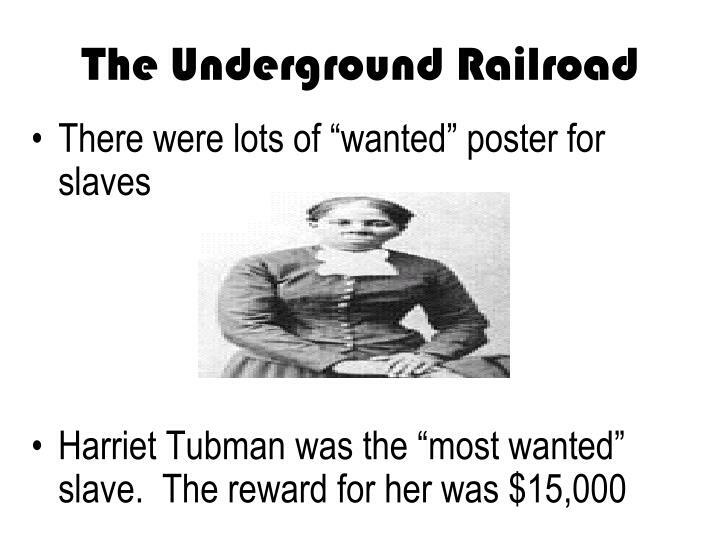 The Underground Railroad. 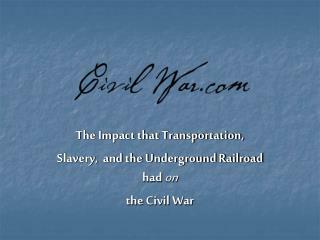 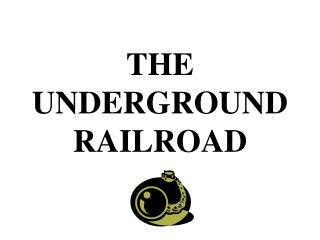 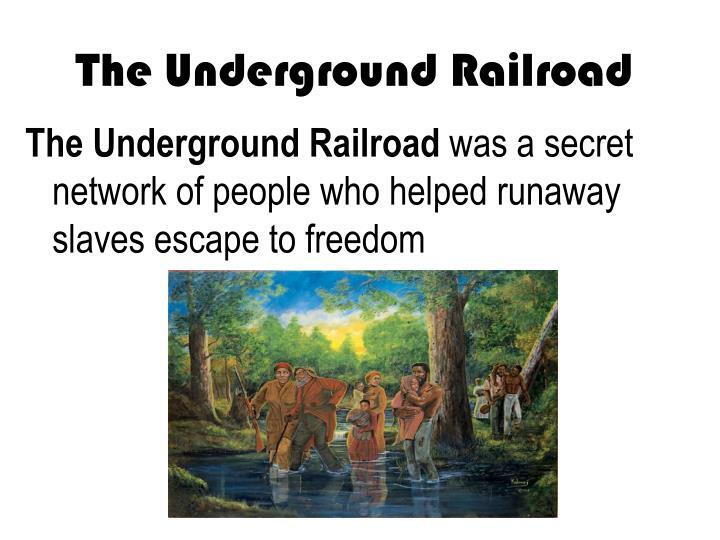 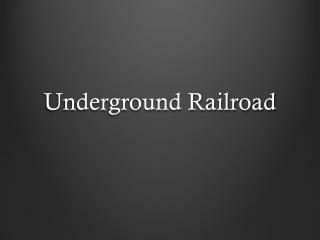 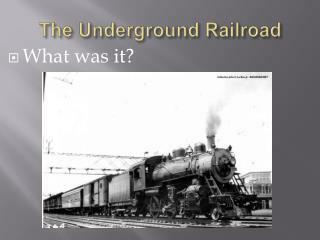 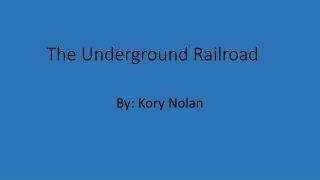 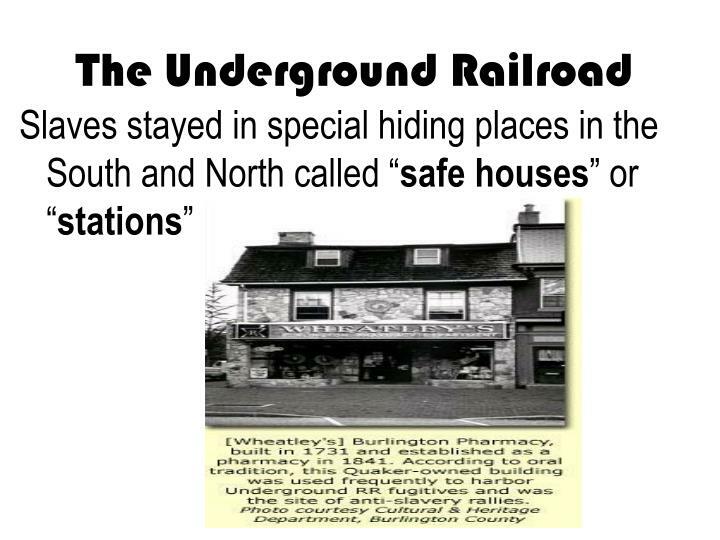 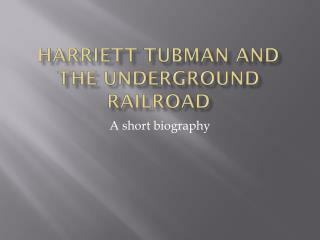 The Underground Railroad was a secret network of people who helped runaway slaves escape to freedom . 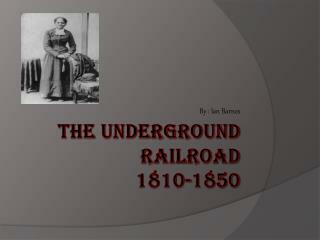 The Underground Railroad. 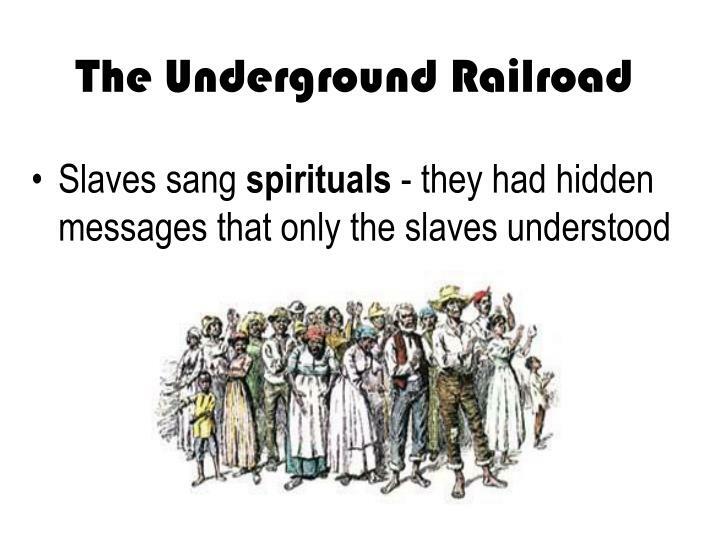 Slaves traveled this path to Canada to attain freedom. 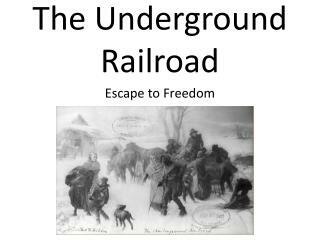 The Underground Railroad. 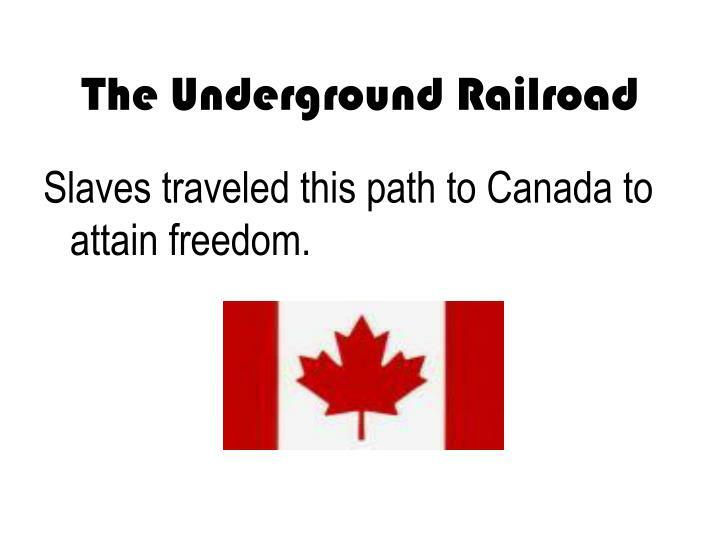 Slaves traveled this path to Canada to attain freedom. 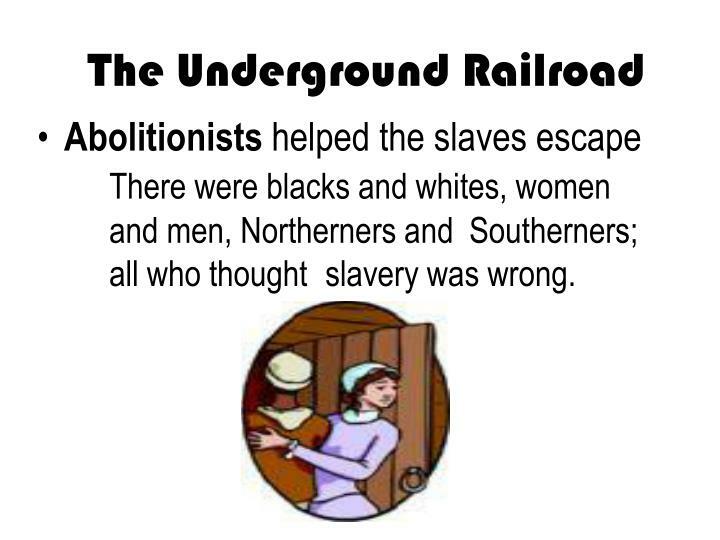 Abolitionists helped the slaves escape There were blacks and whites, women and men, Northerners and Southerners; all who thought slavery was wrong. 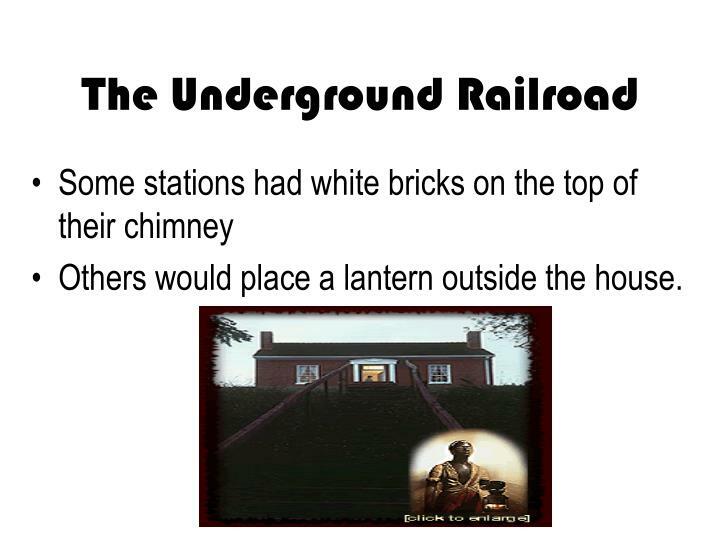 Others would place a lantern outside the house. 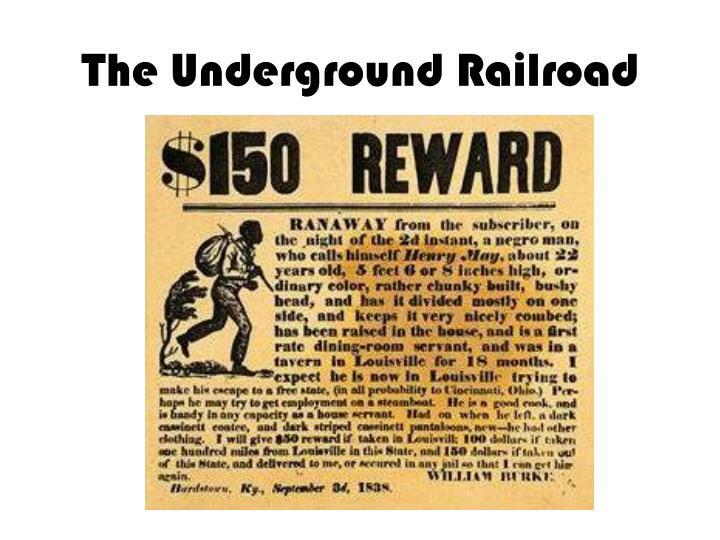 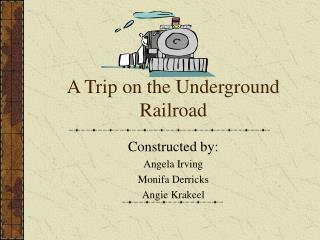 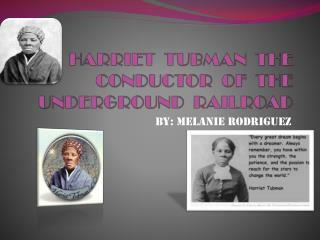 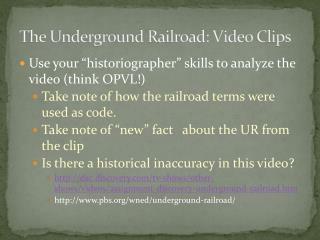 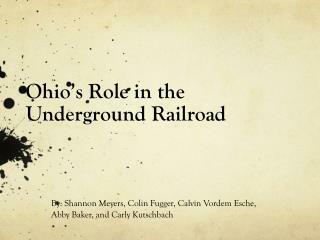 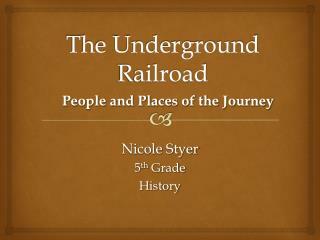 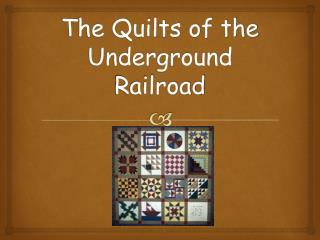 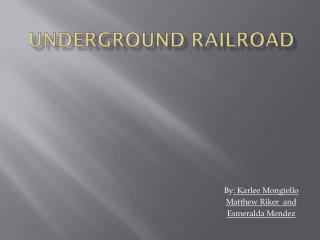 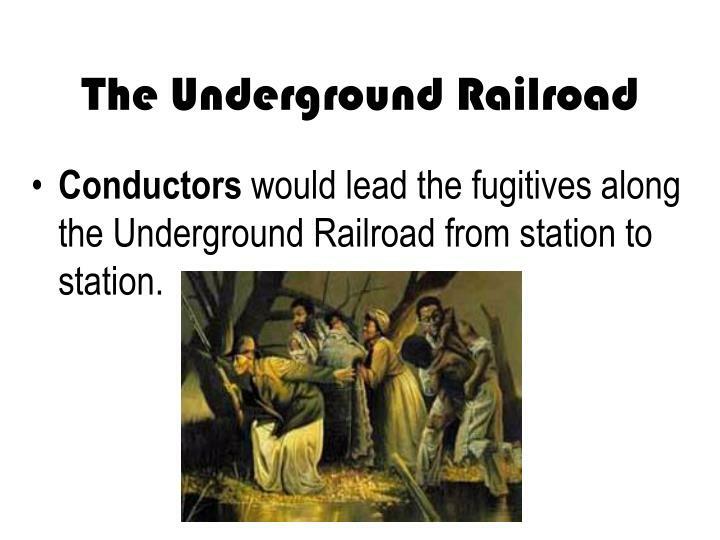 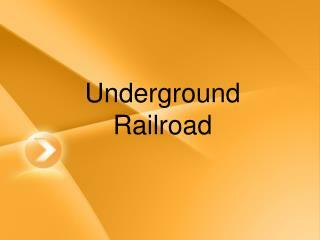 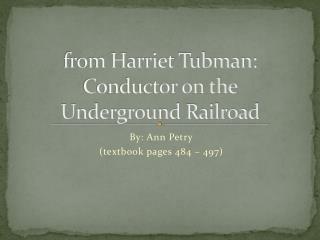 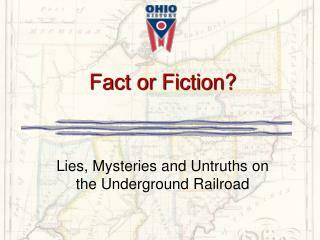 Conductors would lead the fugitives along the Underground Railroad from station to station. 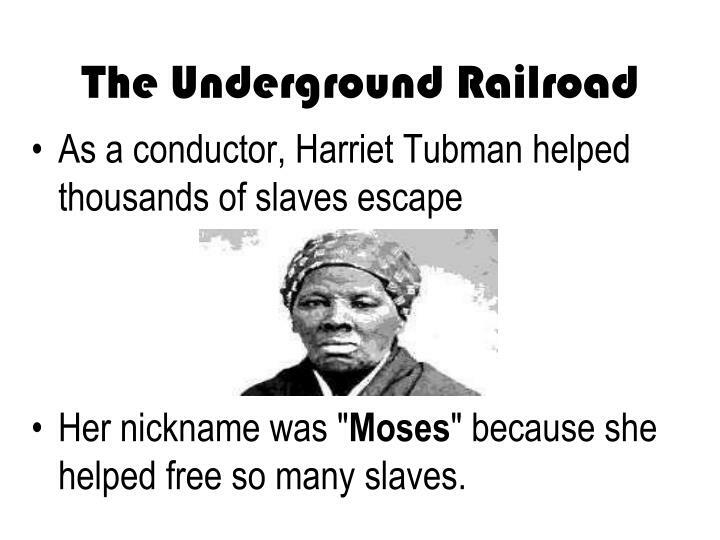 Her nickname was "Moses" because she helped free so many slaves. 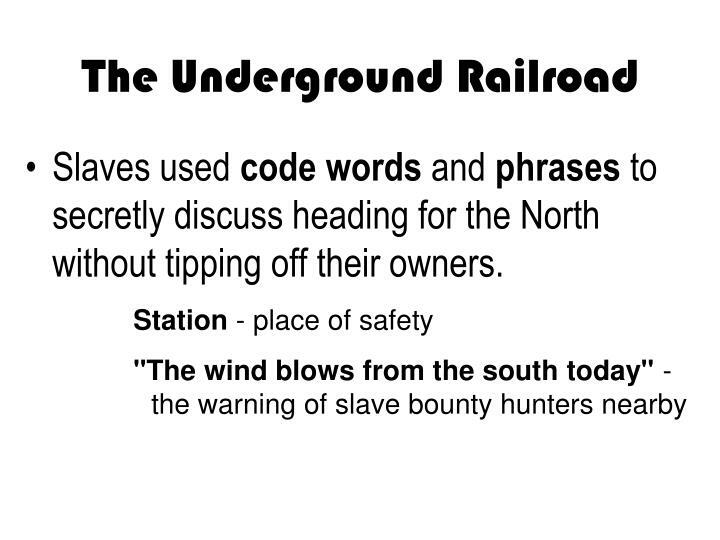 Slaves used code words and phrases to secretly discuss heading for the North without tipping off their owners. 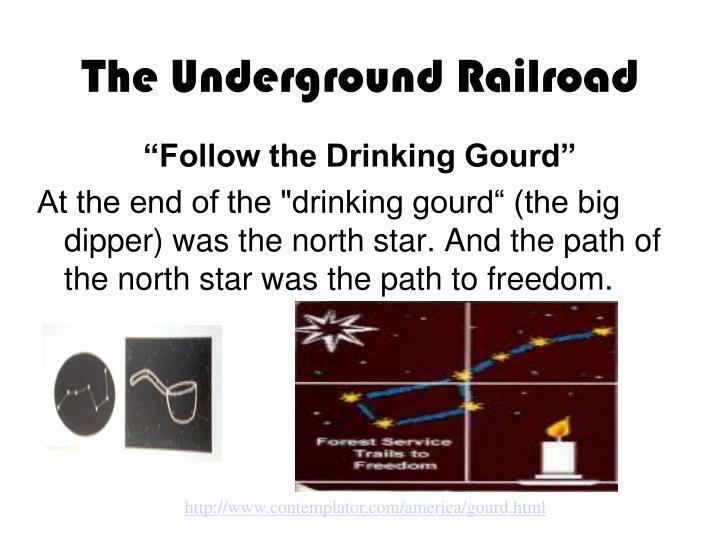 At the end of the "drinking gourd“ (the big dipper) was the north star. 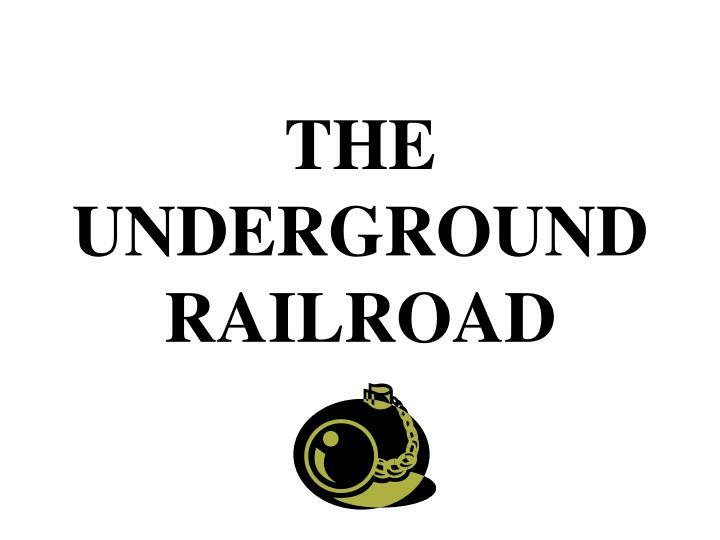 And the path of the north star was the path to freedom.